Sterling silver flower earrings, "Floral Fan"
Gianluca Anzani creates a floral fan to be fluttered seductively by a flirtatious señorita. 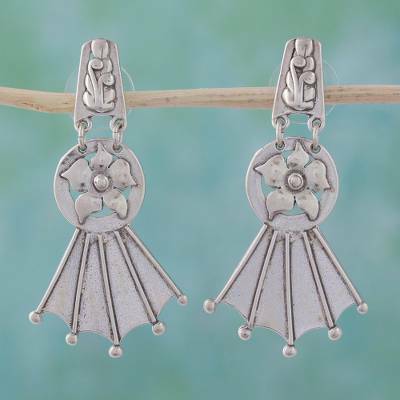 Inspired by colonial art, he crafts enchanting earrings. 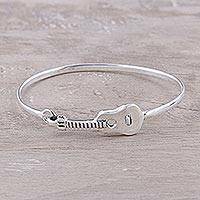 The sterling silver shapes are cut out by hand, thus size could vary slightly.